radio stations in the Philippines with musical format programs. 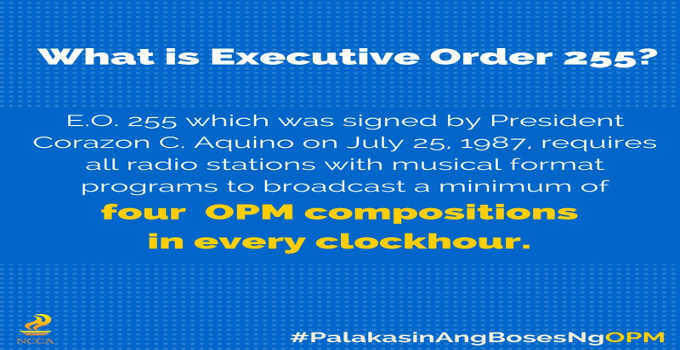 original pilipino music compositions in every clock-hour. in any other language or dialect. This is good to give opportunity for the Filipino Music Industry to thrive. very limited playing time to original Pilipino music. radio stations will be increased. patronage to arts and letters. its implementing rules and regulations. necessary rules and regulations to implement Executive Order Number 255.